Disputes were decided by combat. Testimony was verified by ordeal. The word of the king was law. The acquisition of land by force was the rule. Religion was important only as a tool for power. The young king thought differently. He instituted systems of courts and written law. He negotiated treaties with neighboring rulers, acquiring some lands while handing over others to maximize political and economic stability for his people. Most importantly, for the young king, religion was not a tool – quite the contrary, everything should be in service to faith. He personally fed and served the poor daily. 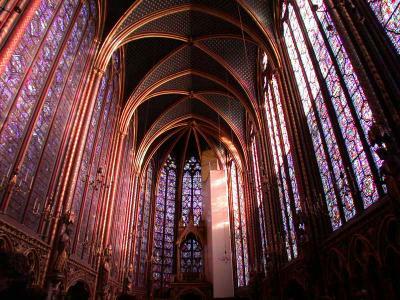 He built great houses of prayer and worship, including the glorious Sainte Chapelle. He would also come to the aid of important churches in other lands, no matter what the risk. Louis IX, King of France, died of disease at the age of 56 in North Africa while on a failed campaign to rescue churches in the Holy Land, 738 years ago today. Saint Louis was canonized 27 years later.